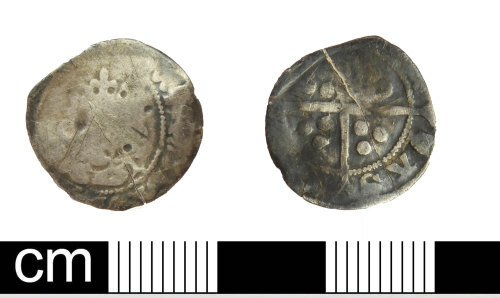 A clipped silver penny of Edward IV dating to 1472-6 or 1480. Minted at York during the sede vacante of 1472-5, 1476 or 1480 with key by the bust and plain reverse. Initial mark worn. North (2006: 94) number 1646, 1651 or 1653. It is 15.95mm in diameter, 0.55mm thick and weighs 0.65g. A silver penny of Edward IV, mint of York, sede vacante (1472-5).